Three members of The Beach Boys are feeling bad vibrations after being dropped from the band's reunion tour -- a move they reportedly found out about via a public statement by frontman Mike Love. 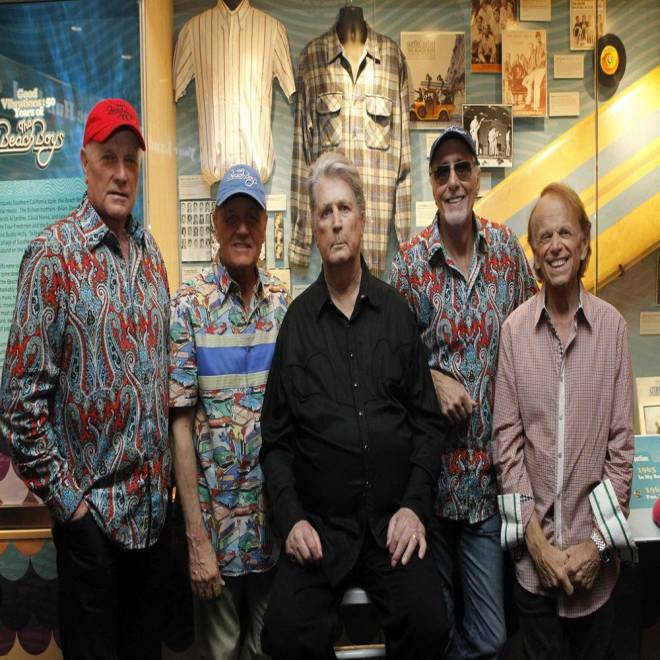 The Beach Boys, from left, Mike Love, Bruce Johnston, Brian Wilson, David Marks and Al Jardine at the Grammy Museum in Los Angeles on Sept. 18. Love had regrouped with Brian Wilson, Al Jardine and David Marks to mark the legendary surf band's 50th anniversary earlier this year. According to The Telegraph, all are out in favor of the group's longtime backing band. Love, who owns the rights to the band's name, released this statement: "The post-50th anniversary configuration will not include Brian Wilson, Al Jardine and David Marks. The 50th Reunion Tour was designed to be a set tour with a beginning and an end to mark a special 50-year milestone for the band." Wilson, who started the band in 1961 with his late brothers Dennis and Carl, told CNN: "I'm disappointed and can't understand why he doesn't want to tour with Al, David and me. We are out here having so much fun. After all, we are the real Beach Boys." The Telegraph further quotes Love on his reasoning behind the changes. "You've got to be careful not to get overexposed. There are promoters who are interested [in more shows by the reunited line-up], but they've said, 'Give it a rest for a year'. The Eagles found out the hard way when they went out for a second year and wound up selling tickets for $5." Rolling Stone lists the backing band as Love's son Christian, Randell Kirsch, Tim Bonhomme, John Cowsill and Scott Totten. The magazine says the current tour wraps in London this weekend and reports that Love has already booked October dates in North America for the post-50th anniversary Beach Boys, with more dates to come.